...a knock off of the very popular "Thing Bank" of the mid 1960's. 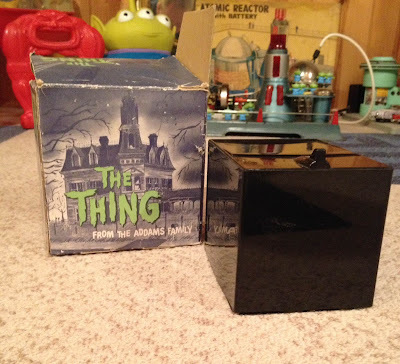 "Thing", as you may remember if you're of a certain age, was the disembodied hand that lived in a box in the Addams' Family home, circa 1965. John Astin (father of Hobbit actor Sean Astin) played Gomez Addams, patriarch of the lovable but macabre family. ...was probably the most popular. 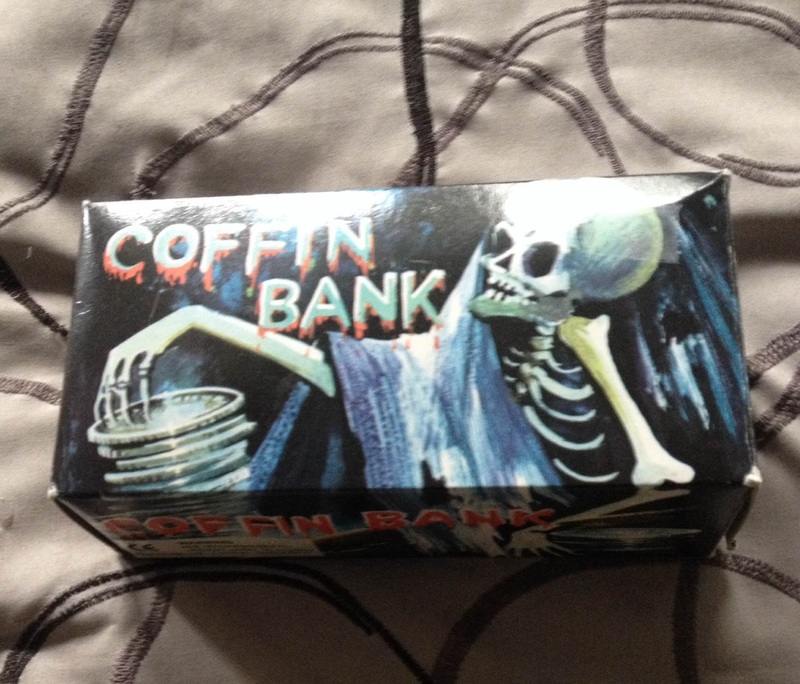 It naturally spawned various and sundry knockoffs, of which the generic "Coffin Bank" is one. 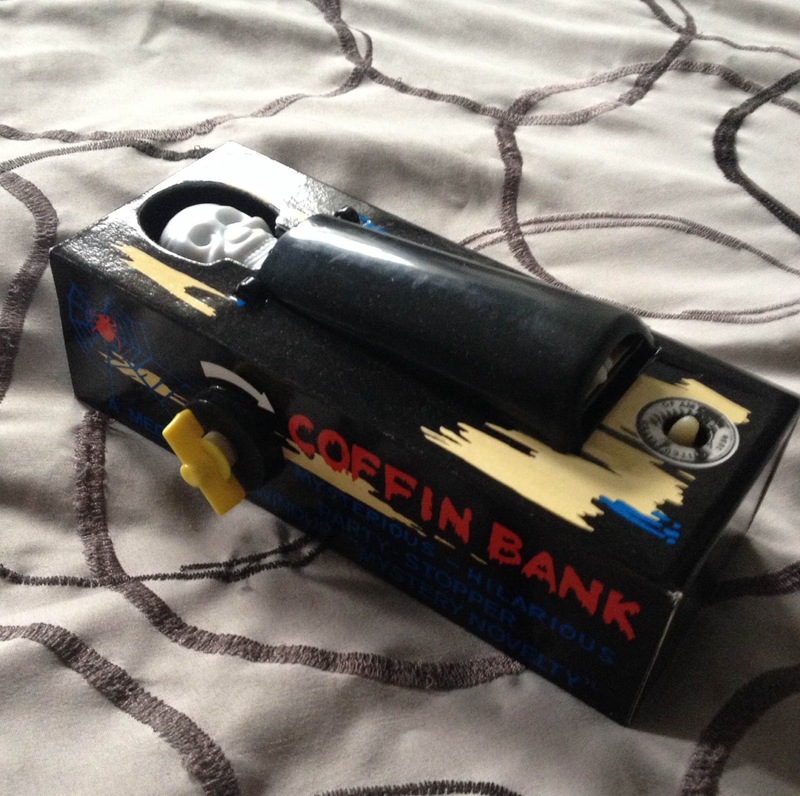 The Thing Bank is battery operated; the Coffin Bank is a windup toy. I actually like it better. Here are both of them in action. Can you tell this was a do nothing weekend?? More crappy, Michigan weather with temps in the 50's and wind chills in the 40's...but hey, it's only the end of May...what can you expect? This is why we'll be moving within the next year or so, Lord willing.